It’s an explorer’s playground; within minutes be in-town savoring traditional Mestizo and Maya dishes, or boating among the wildlife community! From spicy tomato sauces to onion and cabbage mixes as a side option, warm (soft) corn or flour tortilla, or a choice in chicken or pork meats, there’s a lot of flavor compact in these little juicy meat rolls! Slow-cooked in an underground fire hearth (makeshift outside oven) an entire pig seasoned to mere perfection is baked in extreme heat. The result, a moist fall-off-the-bone spiced meat served with tortillas, onion sauces, guacamole and other sides. There’s only one region to enjoy pibil, and that’s in the North! Ceviche is a combination of different freshly diced vegetables, such as: onions, cilantro and tomatoes combined with seasonings and your choice in meats with a lime-finish. Though ceviche and salpicon are similar in preparations, salpicon is defined as diced roasted pork added to fewer vegetables and more juices than a typical ceviche. After all that eating, you will need the perfect adventure to be active! Getting there is easy! Lamanai (located on the western shore of the New River Lagoon) is accessible by road and boat. A 26-mile boat adventure tour down the New River Lagoon to Lamanai is an unmatched exposure to the wildlife community, and a haven for birdwatchers! 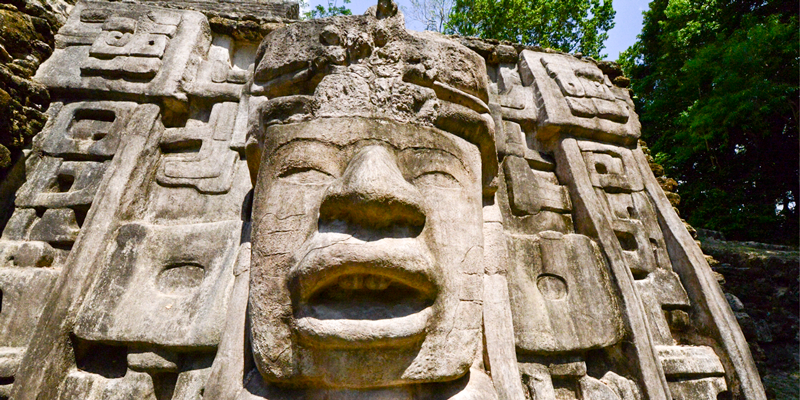 Built and occupied by the Ancient Maya civilization before the early 1500 B.C., “Lamanai” (meaning “Submerged Crocodile”) is a top attraction in Orange Walk! Honey Camp Lagoon is a mere 20 – 30 minute drive from Orange Walk Town and an excellent way to spend your day while in the Orange Walk District! 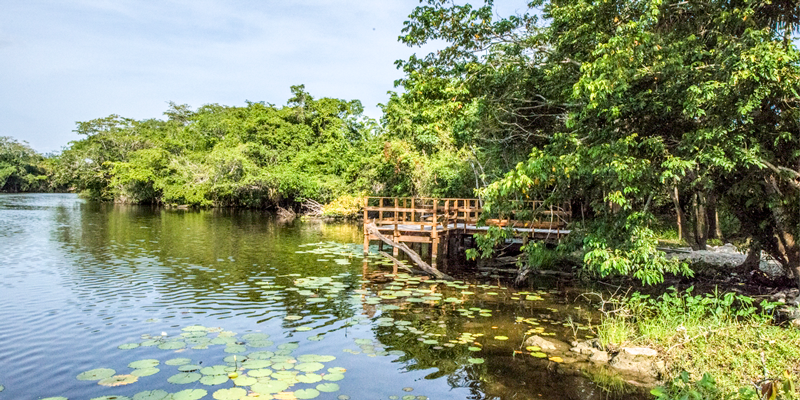 There’s history to be found at Honey Camp Lagoon: Did-you-know that the Ancient Maya used the waterfront location for ceremonial purposes during 1000 A.D. to 1500 A.D. Throughout Belize, there is historical evidence of our Ancient Maya civilization and at La Milpa you can clearly see why Belize holds the title of the Maya Heartland. Explore the over 24 Plazas that makes up La Milpa Archaeological Reserve; your discoveries will be within the lush forest which makes it the perfect day time activity! There’s a lot to discover in Orange Walk! 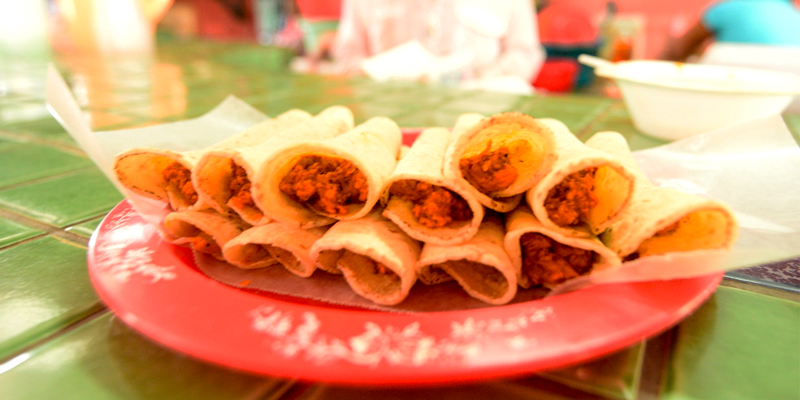 Be familiar with the diverse (16,000 residents) community of “O.W”, after-all it is the predominance of the Mestizo culture that has influenced the foods throughout this district. For more information on this and other events happening in Belize, or to get tips on planning your dream vacation, email us at: [email protected] or call us TOLL FREE at: 1-800-624-0686.